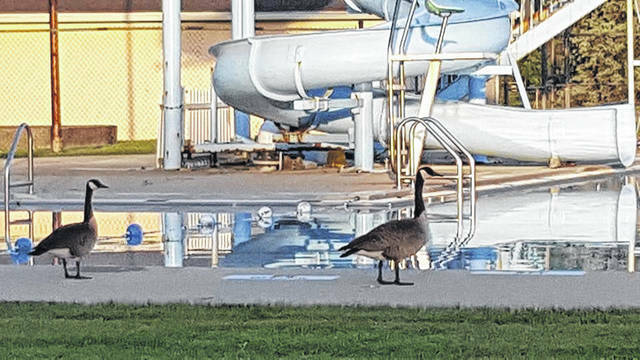 GALION — The Heise Park pool and the the splash park facility at East Park will both open for the 2018 season on Saturday, June 2. Both facilities will have extended hours this year: Monday through Sunday from 1-7 p.m. The splash park site at East Park will also be open Memorial Day weekend (May 26-28). Based on user suggestions, the city is adding shade areas at the facility. Both facilities will close on days in which the air temperature is below 71 degrees or when there is rain and/or lightning. Children under six years old must be accompanied by an adult, 18 years or older. Admission to the splash park site will continue to be free. Private rentals will be available in the evening, after operating hours. Call the City of Galion at 419-468-1857 to schedule. The pool is operated by the Galion Community Center YMCA. Pool fees will remain the same as last year. To purchase season passes or schedule a private rental, contact the YMCA at 419-468-7754. Daily admission: Under 6 years – $1; 6-18 years – $3; 18-54 years – $4; Senior (55+) – $3 non-swimming adult (accompanying a child) – $1. Season Pass – Galion resident: Youth (5 and under) – $42.50; Student (6-17) – $50; Adult (18-54) – $70; Senior (55+) – $70; Family – $110. Season Pass – Out-of-town resident: Youth (5 and under) – $85; Student (6-17) – $100; Adult (18-54) – $140; Senior (55+) – $140; Family – $175.